Chanukah Hanukkah is but 6 days away. That’s very little time left, but since Chanukah is 8 days long, it’s still possible to get these shirts and gifts in time for Chanukah if you buy them now. Check out these unique Hanukkah gifts for Bubbie and Zeyde. Want a great shirt or gift for Grandpa? These Professional Grandpa t-shirts and novelty gifts show Zeyde you think he’s tops. A unique gift for Jewish Grandmothers with a sense of humor. 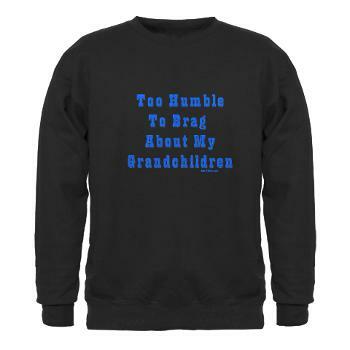 Let Grandma and Grandpa show their pride for their grand kids with this funny sweatshirt. These designs are on many different types of shirts and on novelty gifts. We also feature a large number of other shirts and gifts for Bubbie and Zeyde. To see our entire collection click here.